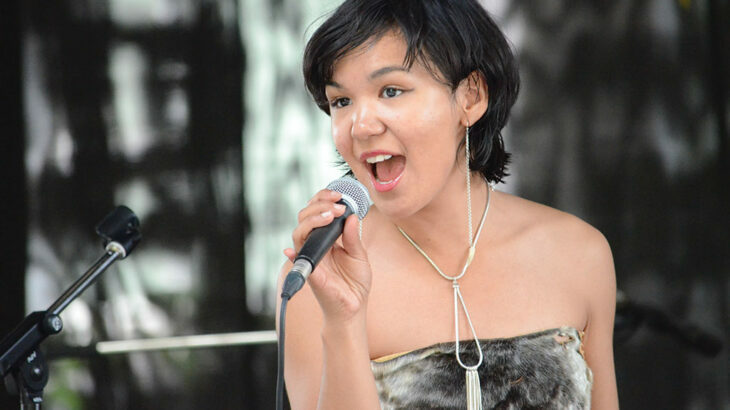 The Canadian Inuk singer and songwriter Kelly Fraser released her latest pop single “Rebound Girl”. The Juno Awards nominee for 2018 Indigenous Music Album of the Year celebrated the song’s release in a party at the World Famous Palomino Club in Winnipeg featuring a performance from PJ Vegas. Fraser visited our ELMNT FM studio for an interview with David Moses on Moment of Truth. Pop david moses, elmnt fm., juno awards, Kelly Fraser, Moment of Truth, palomino club, pj vegas, rebound girl, winnipeg. permalink.